Credit rating define the interest a country has to pay on loans, credits, state bonds, in short – on debt. Considering the level of state debts, the credit rating has a significant impact on the capital cost of nations. The Global Sustainable Competitiveness Index on the other hand is based on quantitative (i.e. subjective) indicators. It based on the fundamentals that define the outcome, including economic success. The comparison between conventional sovereign bond ratings shows distinctive differences. 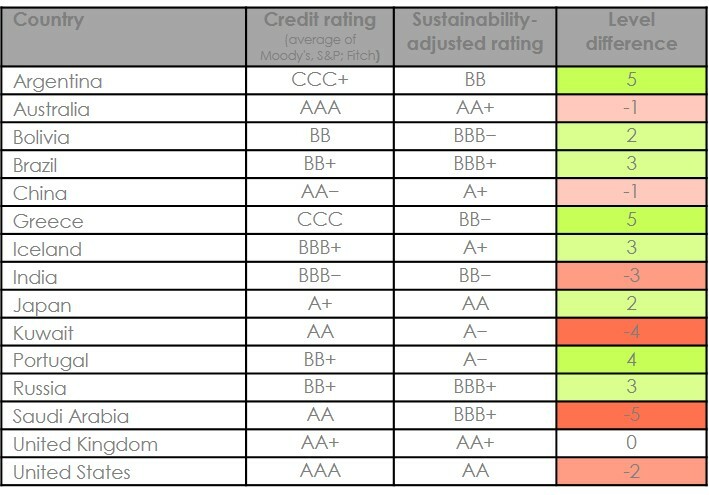 Current sovereign ratings do not reflect real risks/opportunities. 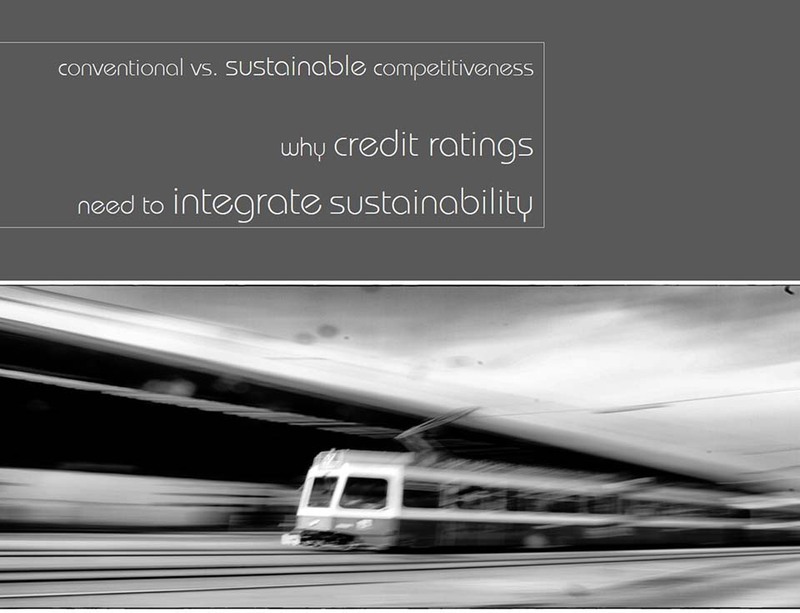 Credit ratings need to integrate sustainability.